EK Water Blocks, Ljubljana based premium water cooling gear manufacturer, is working on a new Full Cover water blocks for the latest GIGABYTE® non-reference design Windforce 3X series NVIDIA® GeForce® GTX 780 (Ti) series graphics cards, namely for the GV-N78TGHZ-3GD Rev. 1.0 and GV-N780OC-3GD Rev.2.0. The upcoming EK-FC780 GTX WF3 will be a high performance full-cover water block for engineered specifically for the latest revision of GIGABYTE® non-reference design Windforce 3X series NVIDIA® GeForce® GTX 780 (Ti) series graphics cards. This product will directly cool the GPU, RAM as well as VRM (voltage regulation module) as water will flow directly over these critical areas thus allowing the graphics card and it’s VRM to remain stable under high overclocks. Up to four water blocks could be interconnected with EK-FC Terminal which allows for hassle-free piping job. Product will also feature a very high flow design allowing the product to be used in liquid cooling systems using weaker water pumps. This water block will align perfectly with EK-FC Titan (SE), EK-FC780 GTX Jetstream, EK-FC780 GTX HOF and EK-FC780 GTX Ti in order to even further simplify the vendor mix-matched water cooled NVIDIA® SLI setups. 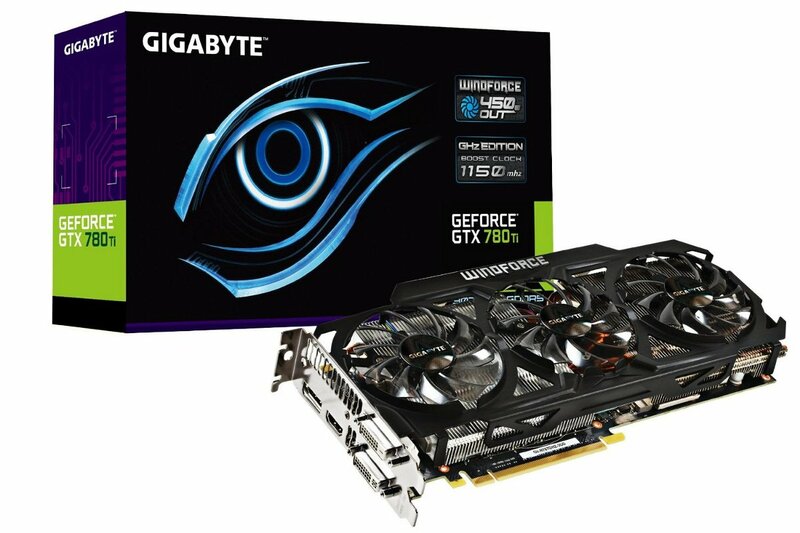 EK-FC780 GTX WF3 is scheduled for release by the end of February 2014.